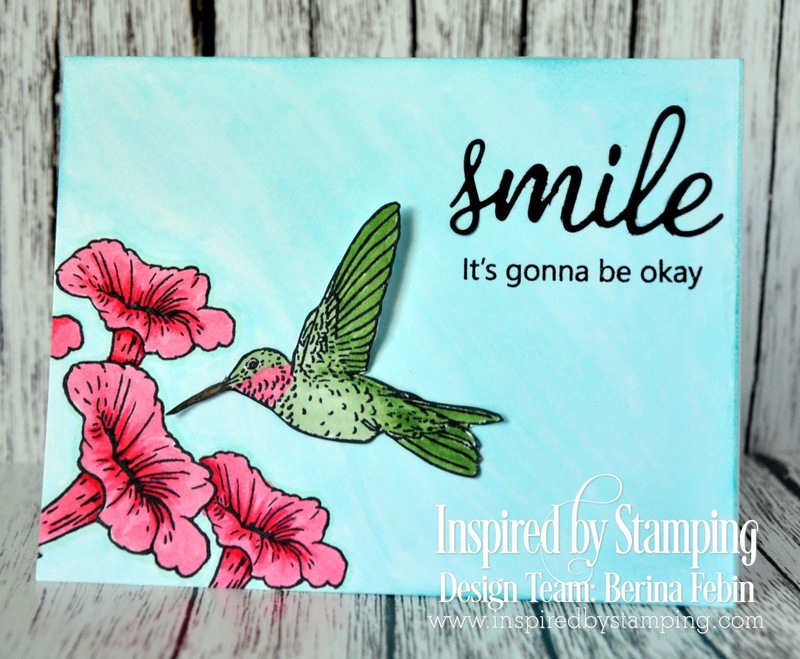 Today we are showcasing the Smile stamp set and Smile die. On my first card, I stamped the flowers from the Hummingbirds stamp set with Memento Tuxedo Black ink and colored them with copics. I used RV29, RV14 and RV13 for the flowers. I sponged Distress ink Tumbled Glass after masking off the flowers. I stamped the hummingbird on a piece of cardstock, colored it with copics RV13, YG63 and YG61 and fussy cut it. I adhered it above the flowers and used foam tape for the wings, to make it look like it was flapping. I diecut the word 'smile' on black cardstock and adhered it on the card panel. I stamped the sentiment "it's gonna be okay" below it with Hero Arts black ink.That's a clean and simple card. My second card is kind of shabby chic. I love the Vintage Floral paper pad from Inspired By Stamping. I used 2 different papers from this pad for the background. I sponged Distress Ink Antique Linen around the edges of the pattern paper. 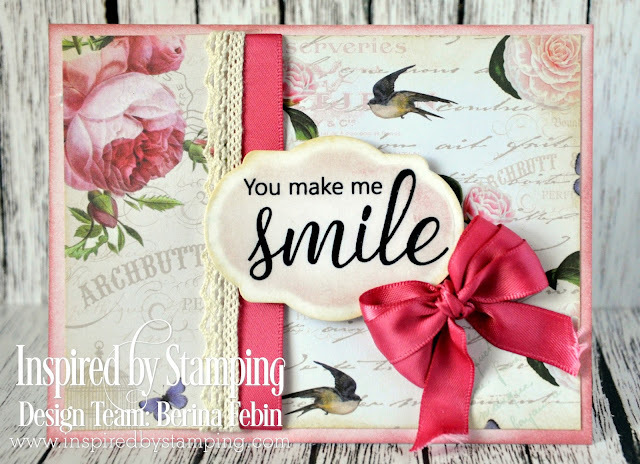 I stamped the sentiment "You make me Smile" from the Smile stamp set and die cut it with one of the dies from the Fancy Label die set. With the die cut still inside the die, I sponged it with Distress Ink Victorian Velvet. This leaves a beautiful border around the edge, which I sponged with Distress Ink Antique Linen. I sponged the edge of the card base with Distress Ink Victorian Velvet. I adhered the pattern paper after adding some ribbon and lace from the Inspired By Stamping Pinks Ribbon Collection. After adding the sentiment panel with foam tape, I added a triple loop bow with the same ribbon. That's all from me for today. 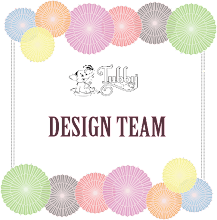 Don't forget to visit my DT friends' blogs to see their lovely creations. 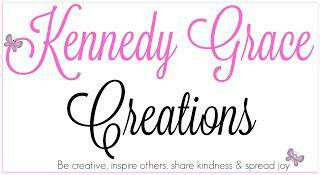 Do visit me tomorrow and the next day for more new inspiration and more new stamps and dies. These cards are just beautiful! They would bring a SMILE to anyone's face! They make me smile just looking at them. Both cards are beautiful but I am totally stumped by the first one. Soft colors, such beautiful image and bold sentiment it's just so striking. These cards are so lovely, Berina. The bright colors of the first and the vintage design of the second showcase the versatility of these new release products and reveal your creativity. TFS. 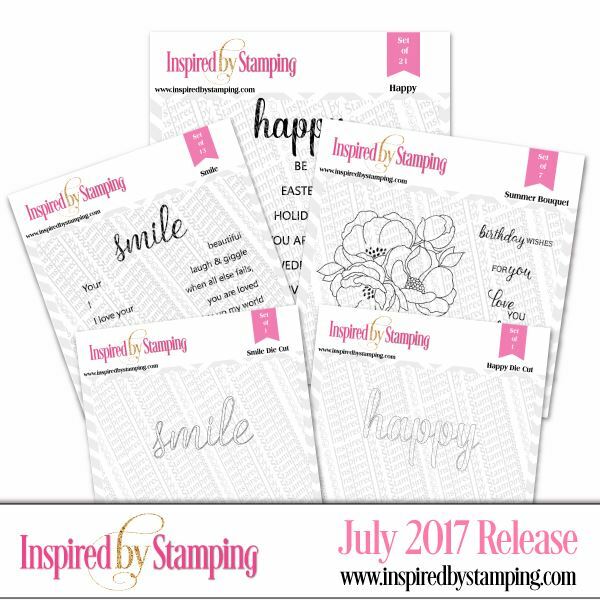 The new stamps are fabulous and you have created two gorgeous cards with them. Beautiful colours on the first one and a fabulous shabby chic design on the second. Beautiful cards. I really like the colors on the hummingbird card. Beautiful cards. Love the deep colors of the flower and bird on the blue background. Beautiful cards. I especially love the hummingbird one. Wonderful coloring. These are both so delightfully lovely! I love hummers! !